Table linens are one of the most significant accessories a massage therapist will purchase, since those linens are so visible to clients. Caring properly for your linens is one of the most imperative steps in maintaining a hygienic practice. The experts all agreed; don’t short sheet your massage practice by choosing anything less than the best- quality linens you can afford and keep them in tip-top shape. Mentioned below are some pointers for selecting the right linens for your practice, and how to care them so they always send a positive message to your clients. Some massage therapists love 100 percent cotton massage sheets and some cotton/polyester blends. 100 percent cotton massage sheets are comfortable and soft feeling; they tend to release oil more readily than blends. Before you purchase remember that you get what you pay for in most instances and quality sheets will not pill as easily as cheaper ones. Flannel is measured in weight and with the heavier-weight flannel costing a bit more. The heavier the weight, the more plush the feel and the more washing it can endure. It is mostly associated with chilly climates; but it is actually a good massage sheet for warmer weather too. Always keep a minimum of two days worth of linens, which means if you have five massage schedules for a day, you need to have at least ten sets of massage sheets on hand. It’s also a good idea to keep plenty of hand towels nearby. It’s really good for wiping a client off, so you don’t have to use a sheet or a drape to wipe them off. There are lots of beautiful prints are available in the market but this is a matter of personal preference. You can choose batiks, and themed designs. Solids look clean and hygienic. 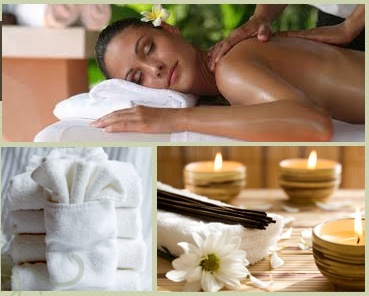 After each massage be sure to launder any sheet or towel that has come in contact with a client. It is very important to change the sheets and face rest covers between clients. Keep dirty linens away from clients and find a hamper for them. Select a quality, eco friendly and clean massage products that are considerate of client’s allergies. Wash sheets and other linens within 24 hours of use. Wash sheets in warm water and rinse in cold water, this will not only save energy but it also helps sheet to last longer. Hot water and a hot dryer will set in oil stains and make them smell. Use only unscented detergent that is free of chemical additives. 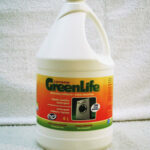 You can try our Green life laundry soap that is environmentally safe, super cost effective and works excellent in high efficiency machines in cold water. This product has been in house tested in 2 large massage clinics for 3 years and performs above and beyond expectations. The secret of folding a fitted sheet is start by pulling the sheet out of the dryer immediately, not letting it sit around unfolded for hours. You’ll need to spread the sheet out on a table or bed. Fold it in half horizontally, and then tuck the top gathered end into the pocket formed by the bottom gathered end. Fold everything horizontally in half again. Then fold the bulky gathered ends horizontally into the middle of the sheet. Fold the smooth end over the top of the bulky end, and then fold lengthwise into thirds yet again. What type of fabric you used and how it is cared for, in your clients’ eyes, may be reflection of how you also care for them. This will indicate that you, the massage therapist, are concerned about both their comfort and health.